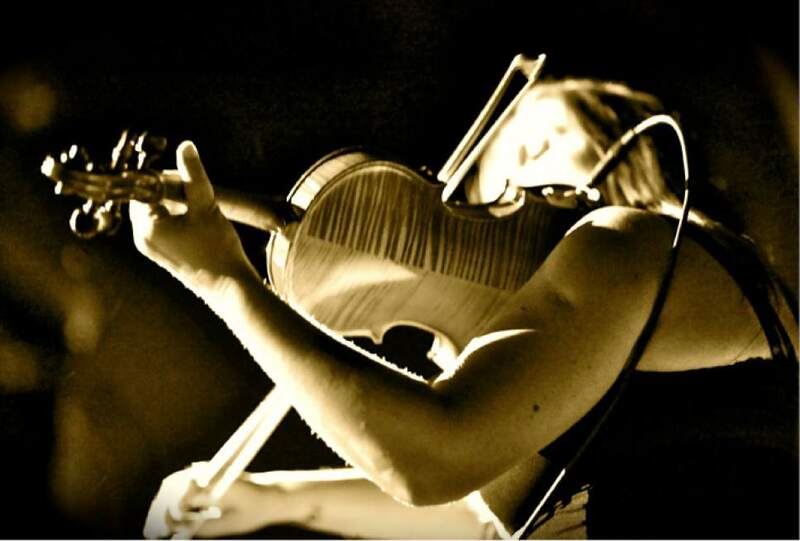 Local sounds • Salt Lake Symphony member does solo shows using just her violin and a looping effects pedal. Courtesy photo Gypsy trip-hop act Katya Murafa, who was part of the Salt Lake Festival Café series during Sundance, will be performing Tuesday, Feb. 14 at BTG Wine Bar in Salt Lake City. Courtesy photo Gypsy trip-hop act Katya Murafa, who was part of the Salt Lake Festival CafÈ series during Sundance, will be performing Tuesday, Feb. 14 at BTG Wine Bar in Salt Lake City. 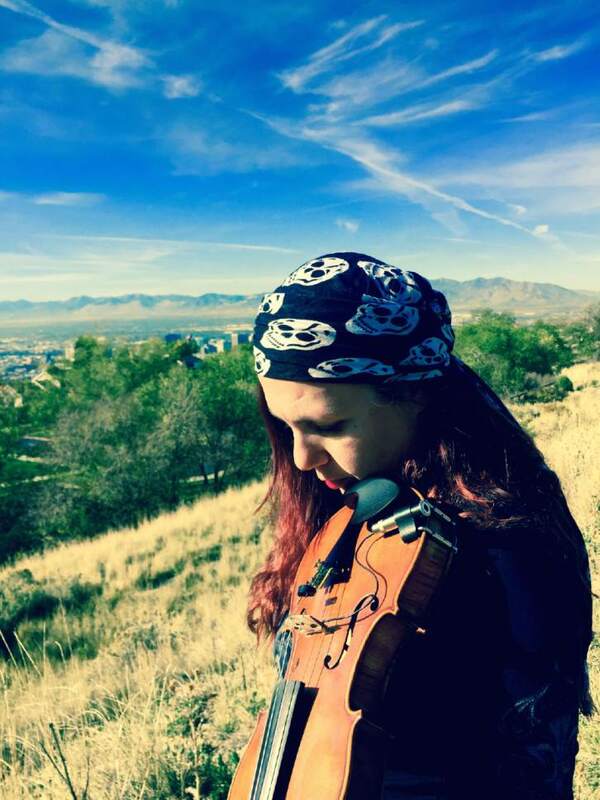 The dark side of music is where Salt Lake-based violinist Katya Murafa&apos;s heart resides. The classically trained musician began playing the violin  and later piano  in Russia at age 7. At 18, she moved to New York to study at the Manhattan School of Music and in 1999, she moved to Utah to pursue music with friends she had known in Ukraine. Nearly two decades and many musical projects later, Murafa continues to work toward her dream of being a full-time musician. Now a one-woman band, she described her music as gypsy trip-hop, channeling musical influences like Portishead, Björk and Nine Inch Nails. When she takes the stage, it is just she, the violin and a looping effects pedal. A member of the Salt Lake Symphony, Murafa has built a reputation within the local belly-dancing scene. "There are a lot of incredibly talented women in Utah," Murafa said of creating music for belly dancers. "When I get to play for them, I make sure it&apos;s danceable to the movement and rhythm of it." Her repertoire consists of many cover songs that she has musically manipulated. She covers everything from Lana Del Rey and Amy Winehouse to Led Zeppelin and The Cure. When creating her own version of a song, Murafa uses her violin to produce sounds that mimic instruments such as drums and bass. Murafa performs on Valentine&apos;s Day at BTG Wine Bar. She talked to the Tribune about Gypsy trip-hop, making music as a classically trained musician and why she refuses to give up on her dream. I joined a trip-hop band around the year 2000. That&apos;s when I started experimenting with new sounds and effects. I started writing and arranging music  doing all the things I had never done before. After years of experimenting and playing with different bands, I finally found the style that I gave a name to. Gypsy trip-hop is the best way to describe it, with my Russian and Gypsy influence. I was very afraid to even touch any equipment because I didn&apos;t think I could learn how to do it. Five years ago, I decided, "I am going to learn how to use the loop station." I went out and got all new equipment and it took me literally 10 minutes. When you&apos;re a classical musician, it&apos;s really easy to take anything apart because, in your head, you can hear everything. Every time I would hear a song, if I thought it was loopable, then it went on my violin list. I started with three songs and now I am in the hundreds. My covers have a very wide range, from &apos;60s to nowadays. I think it all started with "Love Song" by Cure. I came up with my own way to do the bass line and do the add-ons to it. With that in mind, all the other songs have the same concepts that I apply. For example, "Back to Black" has the Amy Winehouse melody, but it actually sounds like a tango song  like a Spanish dance. I think being influenced by classical, Russian, trip-hop and Gypsy music over the years, I work those elements  and personal experiences  into every cover. I am not giving up on the idea that maybe one day I can be a full-time violinist. One of the main reasons is my daughter. She has watched me be a musician and try to push this career her whole life. She sees that if you keep trying every day, if you don&apos;t give up, you can succeed. I am not a famous violinist, but I am doing it; I love it and she sees me doing something that makes me happy. I am hoping that when she grows up she can find that something and keep pursuing it without giving up. When • Tuesday, Feb. 14, 6 p.m.